LOLTHULHU » I HAS A NON-EUCLIDEAN GEOMETRY. LET ME SHOW YOU IT. 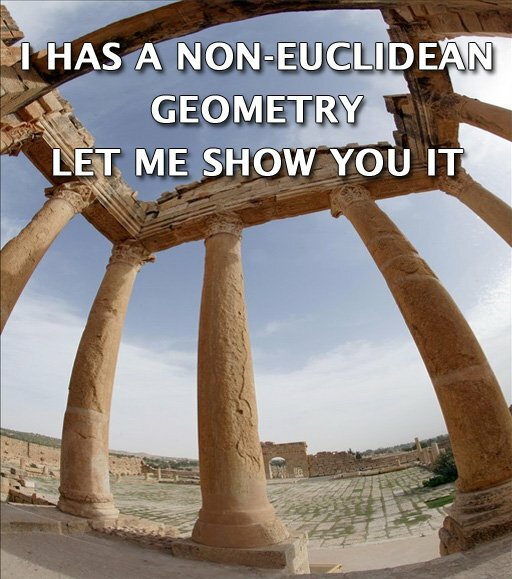 6 Responses to I HAS A NON-EUCLIDEAN GEOMETRY. LET ME SHOW YOU IT. Hm…not bad, though could stand to be a bit less human. this one is pretty awesome, yes! This one is too damn funny..